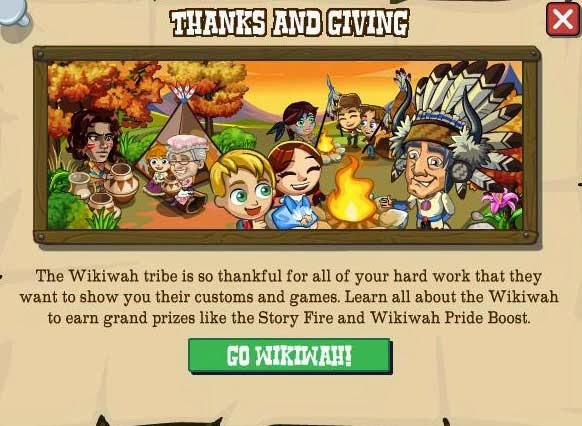 It's Thanksgiving and the Wikiwah Tribe are so thankful for all we've done for them this year they want to throw some of their traditional games for us to play and to teach us Wikiwah talents. 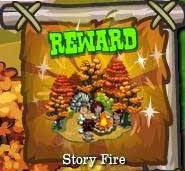 So, if you've ever wanted to dance, do pottery, shoot arrows or tell stories, this is the thread for you! As usual things will start with a popup. As usual, that'll bring up a mission screen where we'll see all 8 missions and be able to start them up. 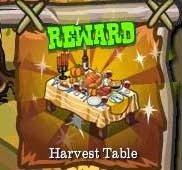 We'll also see the two "extra" rewards for completing the first and second sets. 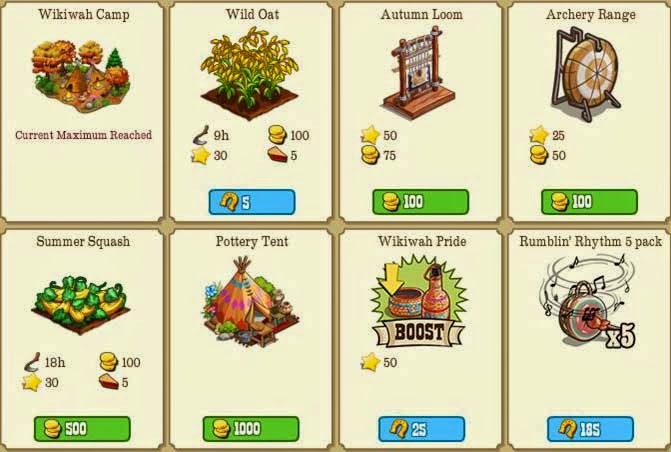 That includes two healables, The Autumn Loom and Shooting Range and one decoration with a bonus the Pottery Tent. 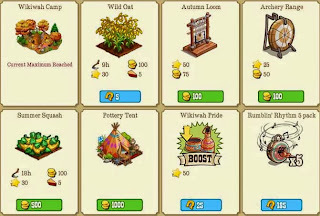 Each of the healables will be healed with 8 crafted items, and all details are in the relevant mission posts. The Pottery tent takes one item per use. Finally we'll see a new collection!